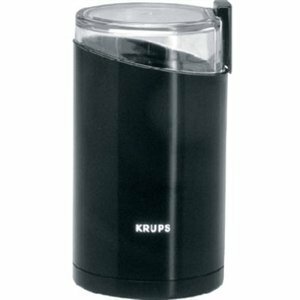 Krups 203-42 Fast Touch Coffee Grinder is an easy to use grinder. And I really love using this grinder as this is my first grinder that I used and I am instantly happy with the quality of this grinder. At first, I was really looking for a grinder that would really fit my needs. I am just new to coffee makers because I used to drink only instant coffee in the past, but after my sister convinced me to make my coffee from scratch and she made me taste the difference, I was really impressed with the results that is why I shifted.